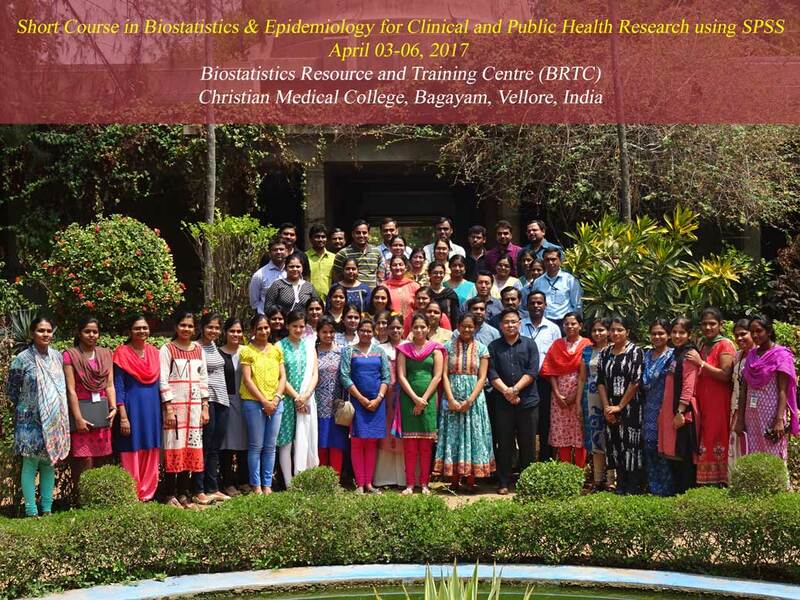 The aim of the short course is to provide the fundamentals and importance of Biostatistics & Epidemiology in the field of health science, and to give a brief introduction about the important statistical techniques often used by the researchers. The intention of the course is to explain the concepts in biostatistics & epidemiology, and to perform the computations involved in commonly used statistical techniques using SPSS software. In addition, discussions will be made for clear understanding of the concept and interpretation of the statistical results to the participants using examples and published articles. The short course is intended for medical doctors, nurses, clinicians, epidemiologists, psychologists, physiotherapists, biochemists, statisticians, social scientists, PhD students, and public health researchers who are interested in data analysis, report/journal article writing, report/journal article reviewing and supervising researchers in their academic areas. Course fee Rs. 6000/- (Six Thousand only) should be paid in full by 24 March 2017. Payments can be made by Demand Draft in favor of “Christian Medical College Vellore Association Account”, Payable at Vellore. The number of participants is limited to 40 and registration will be done on first come first served basis. Course fee includes Course Material, Lunch and Refreshments.